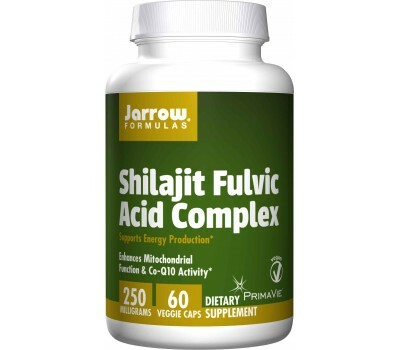 Jarrow Formulas Shilajit Fulvic Acid Complex is a purified and standardized shilajit extract to help revitalize the body and mind. It is standardized to have no less than 60% fulvic acid complex with high levels of dibenzo-α-pyrones and dibenzo-α-pyrone chromoproteins, and over 40 different minerals, with very low levels of heavy metals. These special compounds are active in the mitochondrial electron transport chain. Shilajit Fulvic Acid Complex works with Co-Q10 in the mitochondria and boosts energy production in brain and muscle tissues during exercise. what is the function of Shilajit Fulvic Acid complex? Shilajit Fulvic Acid complex assists in the maintenance and regeneration of normal physiological functions by acting as an energy currency, or biocatalyst, in the body. Modern research has shown that shilajit increases immunity, strength, and endurance; it strengthens cognitive ability, heightens libido, and functions as a transporter/carrier to more efficiently drive other nutrients into the body. 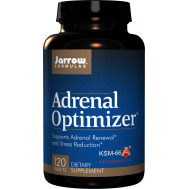 As an adaptogen, it helps reduce stress, strengthen the immune system, and reduce allergies. Raw shilajit must be controlled for quality and processed before it is fit for human consumption by contemporary standards. To start, the source material should be analyzed to ensure low levels of deleterious heavy metals (such as mercury, lead and cadmium). Then the raw material must be treated to neutralize naturally-present reactive oxygen species and eliminate fungal contaminants. 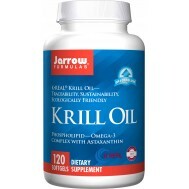 Jarrow Formulas Shilajit Fulvic Acid Complex , featuring PrimaVie® , takes these necessary steps. The effects of shilajit are often described as “boosting energy levels and supporting endurance.” Shilajit seems to do just that by increasing tissue concentrations of CoQ10 (and protecting ubiquinol levels) in the body and supporting efficiency in the mitochondrial electron-transport chain. 2) as a lipid-soluble antioxidant that protects the body from reactive oxygen species (ROS) and helps regenerate other antioxidants like vitamin C and vitamin E.
When our mitochondria begin to deteriorate and lose efficiency, a process that is often in lock-step with aging, less energy and more ROS are generated. 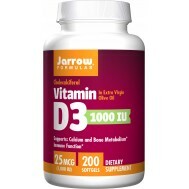 This leads to mitochondrial damage and decreased levels of total CoQ10, especially the active-antioxidant form, ubiquinol. That’s where shilajit comes in. Dibenzo-α-pyrones (DBPs) found in shilajit seem to be at least partly responsible for augmenting and protecting total CoQ10 levels and facilitating mitochondrial efficiency and durability. For instance, when one shilajit DBP (3,8- dihydroxydibenzo-α-pyrone [3,8-(OH)2- DBP]) was co-administered with CoQ10 in rats, CoQ10 levels in the heart and liver were elevated to a greater extent than when CoQ10 was given alone. In the lab dish, shilajit DBPs also protect ubiquinol from degradation in various conditions. Processed shilajit was also found to attenuate decreases in CoQ10 and ATP levels in mice when given before exercise. It seems that the “destroyer of weakness” appellation may not be mere hyperbole. The fulvic acid constituents of shilajit also appear to play a critical role. Evidence suggests that fulvic acids can both increase the GI (gastrointestinal) absorption of a wide range of constituents and sup - port their transport into deep tissues. Fulvic acids also appear to “lu - bricate” electron transfer during energy production. These character - istics likely undergird the adaptogenic effects ascribed to shilajit and make it useful in managing both physical and mental stress. As an example, consider the range of stress endured when traveling to high altitudes: extremely low humidity, decreased atmospheric pressure, severe cold, high wind velocity, and intense solar radiation exposure. Shilajit assists the body in coping with such conditions and supports physical and mental fitness by supporting energy reserves. In fact, a pilot human study using 200 mg/day in non-athletes for 15 days found improvements in various energy markers: total ATP, ATP/ ADP ratio and total adenine nucleotides (TAN). Whether one is faced with a literal or figurative mountain, shilajit seems to be helpful in surmounting it. Jarrow Formulas’ Shilajit Fulvic Acid Complex is a purified and standardized shilajit extract to help revitalize the body and mind. It is standardized to have no less than 60% fulvic acid complex with high levels of dibenzo-α-pyrones and dibenzo-α-pyrone chromoproteins. These special compounds are active in the mitochondrial electron transport chain. Shilajit Fulvic Acid Complex works with Co-Q10 in the mitochondria and boosts energy production in brain and muscle tissues during exercise. 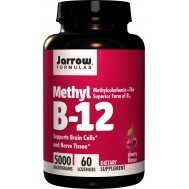 Co-enzyme Q10, mostly shortened to Q10 is present in almost every single cell of our body. The other name for Q10 is ubiquinone, which is derived from the Latin word ubiquitous ('everywhere'). Co-enzyme Q10 is important for cellular processes in which it helps to produce energy for growth and maintenance. Co-Q10 also works as an antioxidant that protects you from the same energy-making process it’s also involved in. While your body is capable of producting co-enzyme Q10 from food, the ability to do so, declines with age. This is why Q10 is called a conditionally essential nutrient, meaning it is required to be supplemented as we grow old. Children who are exposed to more allergens and bacteria in their homes during the first year of life may be less likely to suffer from allergies, wheezing and asthma later on. Researchers found that 3-year-olds who were exposed to mouse dander, cat dander and cockroach droppings before they turned 1 were three times less likely to suffer from wheezing, allergies and asthma than those who lived in homes without these allergens. This past week we were once again blessed with lovely warm summer weather. Nearly invariably, most meat lovers will almost instinctively take their BBQ out to prepare meat. But is having barbecued meat such a great idea? 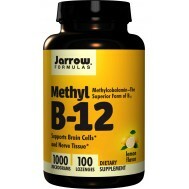 Take 1 capsule 1 to 2 times per day with a meal or as directed by your qualified health care consultant.